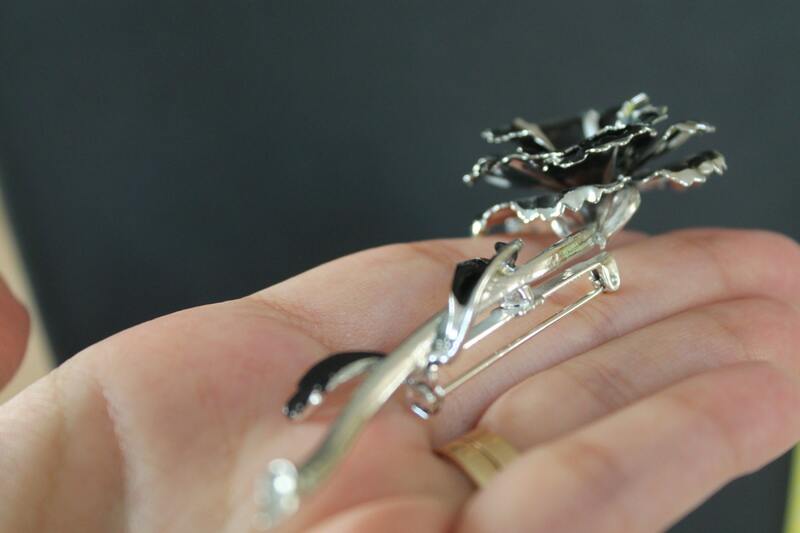 BROOCH Beautiful original CORO Vintage Rose brooch Silver metal, enamel details, AB Crystals. 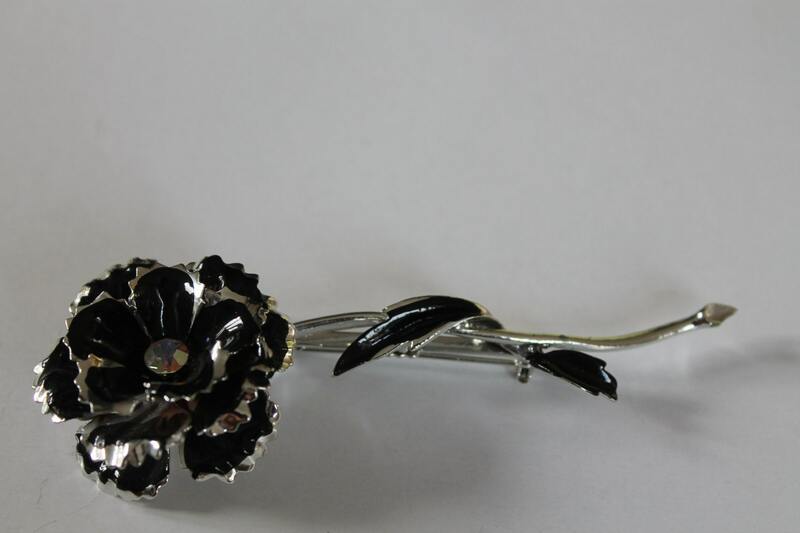 Beautiful original CORO Vintage Rose brooch Silver metal, enamel details, AB Crystals , AMAZING. 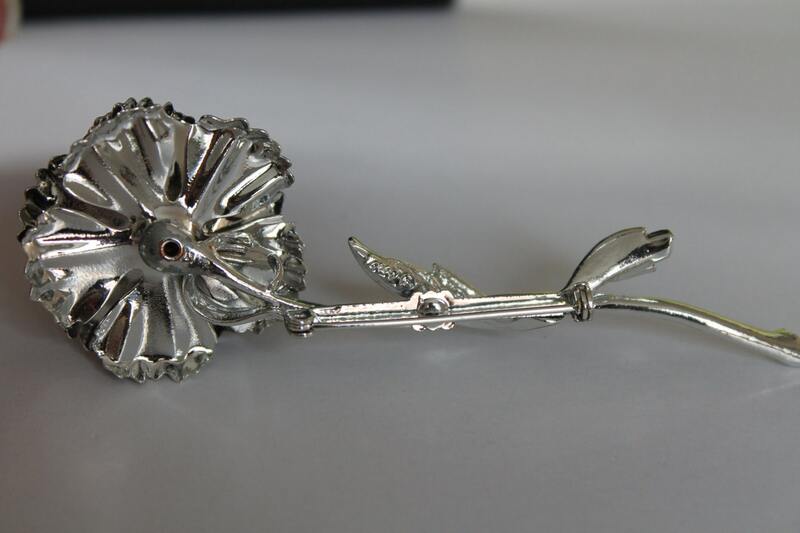 Measures: 4" inches long and 1 1/2" in diameter. 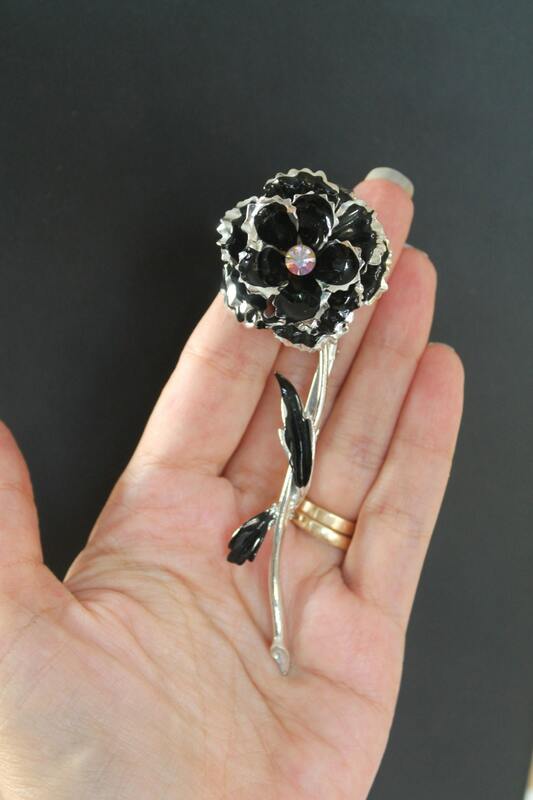 Rose is very detailed, 3 layers of petals, AB crystals in the middle, black enamel is amazing.